GANGNEUNG, SOUTH KOREA - Mindful of his error-riddled free skate at the Sochi Olympics, defending Olympic champion Yuzuru Hanyu refuses to get carried away after winning the men’s figure skating short program at the Pyeongchang Games on Friday. At the 2014 Sochi Games, Hanyu became the first Japanese man to win a figure skating gold, but on Saturday he will hope to avoid a repeat of his Sochi free skate, one he feared might not be good enough for a place on the Olympic podium. Four years ago, Hanyu set a short program world record with 101.45 points, giving him a lead over three-time world champion Patrick Chan of Canada. Hanyu ended up winning gold despite falling on his opening quad salchow and botching a triple flip. Now he wants to “avenge” himself at Gangneung Ice Arena. “The mistakes I made in the (Sochi) free program have made me a stronger skater over these last four years, and I will face tomorrow strongly determined to avenge myself,” the two-time world champion said. 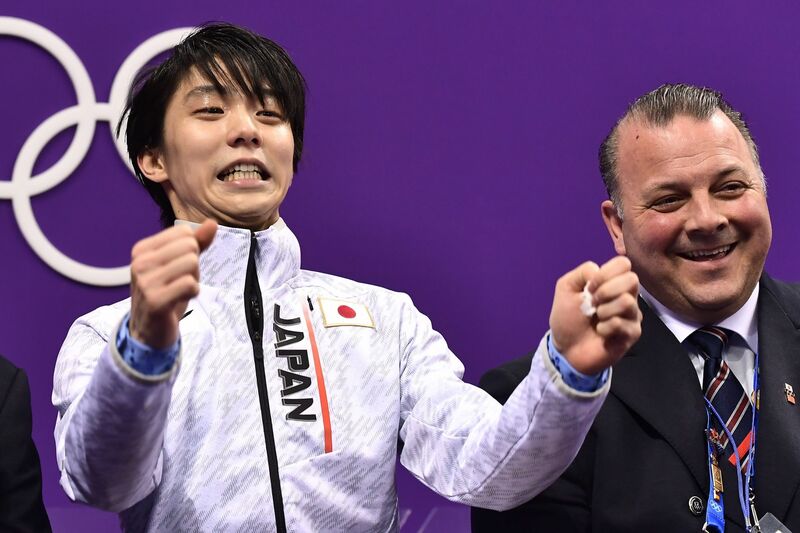 Hanyu marked his much-anticipated comeback from an ankle injury sustained last November in Friday’s short program, scoring 111.68 points to come close to his current world record of 112.72, and taking a lead over Spaniard Javier Fernandez and compatriot Shoma Uno. 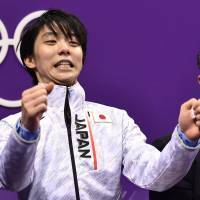 “After not competing for three months, I was full of joy today being able to skate and able to enjoy the cheers of my supporters. I think that really pushed me to give a clean performance,” said Hanyu. “I am mentally strong and powerful. I am not that strong physically — I easily catch a cold — but I was able to perform well thanks to support, and my will and desire to fulfill the expectations of my supporters. Hanyu’s fans sent Winnie the Pooh dolls raining onto the ice after he finished his program. Asked what he plans to do with them all, he said, “I will do the same as in all competitions: I give them to the local community. I will donate them to people of Gangneung or Pyeongchang.